To show the entire life cycle of this species, click on the Related materials link. Young caterpillar (larva) of a Morpho peleides butterfly, Costa Rica. This is the second of four life stages in the complete metamorphosis of a butterfly. 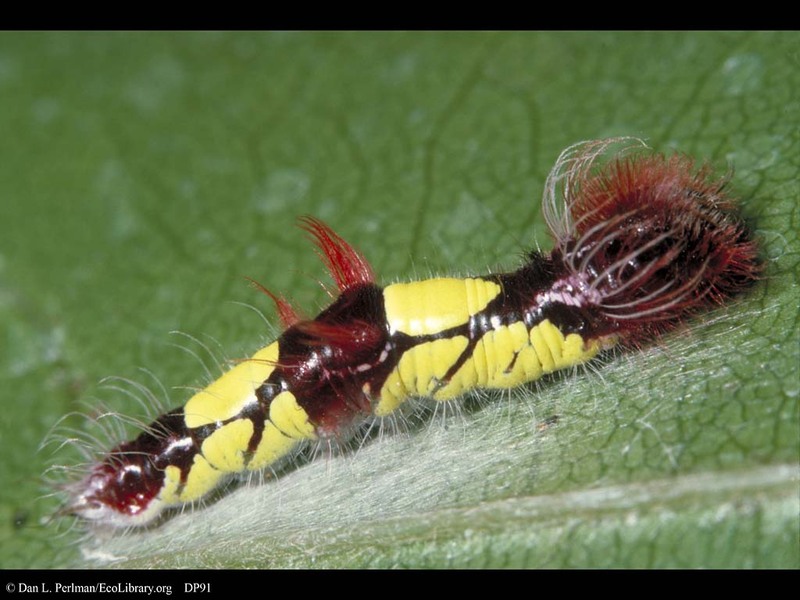 Compare the colors of this caterpillar with the older caterpillar of the same species.